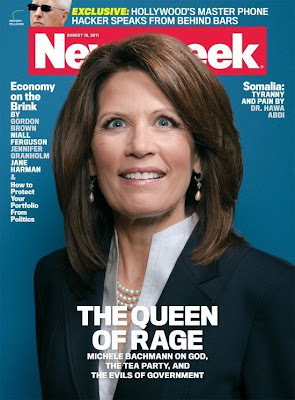 The Midnight Review: "Queen Of Rage"
I don't see why teabaggers are upset about this picture and caption. They love the rage rhetoric and this is exactly what Michele Bachmann looks like - actually, she looks crazier. This just happens to be a good picture of her.